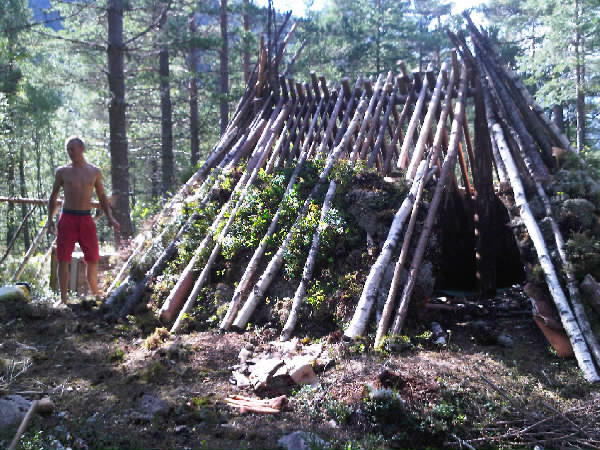 My brother Arne and I built some more on the earth lodge today. We have now run out of birch bark and the bark is no longer peeling well from the birches. Because of this the remainder of the lodge will be thatched with modern tarps until spring. The lemmings are quick, so I haven’t taken photos of them alive as of yet. 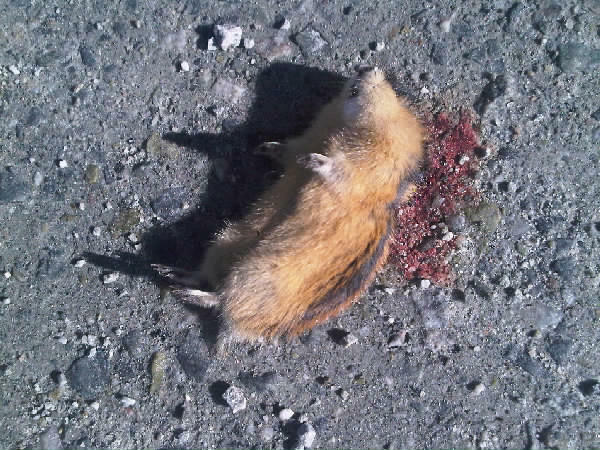 This roadkill one (there ar hundreds) will give you an idea what kind of creature we are talking about. PS! This is my last (or second last) mobile blogging post as I can not afford to have an advanced phone after all. can you tell us how deep it is inside, assuming you dug out a deeper level for the living area inside the lodge. And what sizes is the lodge? Did you make soem special arrangements for fire inside, and if so, what kind of structure did you choose? Great work – I am sure you can be very comfortable in there! No special arrangements for fire, except a slight pit dug and poured rocks into it to store heat. I have not dug out a deeper level for the living area yet. In a year or two it will be easier, when most of the old tree roots inside the earth lodge will have died and be rotten. 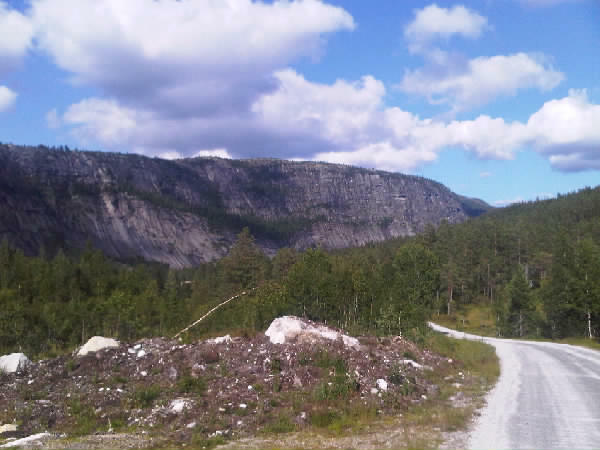 Lodge is about 6 metres long and 4 meters wide. Careful with that birch bark it is easy to get cut while doing this kind of work. Also i noticed that whenver i get birchbark it curls up along the edges there has to be some way to stop it from doing this.Plus you can use birch bark that has been on the ground awhile where the wood is rotting. it is way easier than using bark off live trees. Curling can be eliminated by pressing it between two flat surfaces while drying. I don’t always have these surfaces available, so I accept some curling. Single sheets can also be rolled against the grain to counter this, but only if it’s without any tears whatsoever. Dead tree bark can often be good, but it is in general a bit more brittle than fresh bark from live trees.